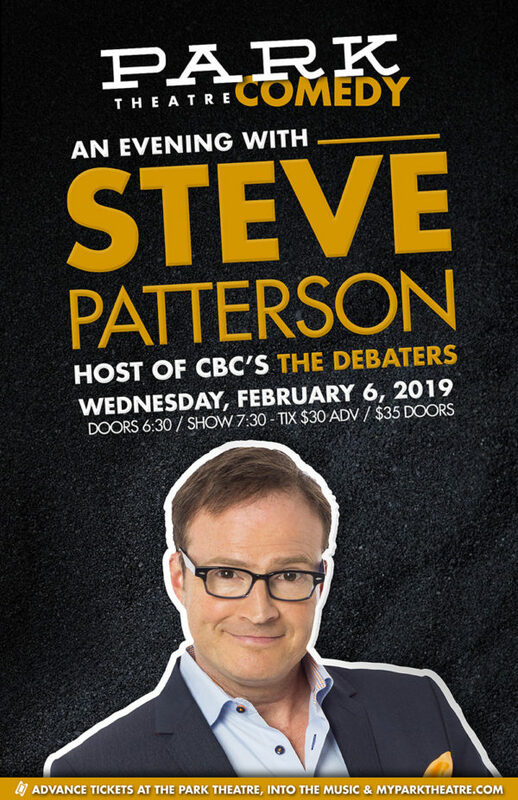 viagra buy now The Park Theatre is proud to present Steve Patterson, host of CBC’s The Debaters, on February 6th, 2019. Steve is one of Canada’s most loved comedians and we are excited to have him back here at The Park Theatre. https://stetsonpainting.com/whychooseus/ buy now Familiar to hundreds of thousands of Canadians as the host of CBC Radio One’s hit show “The Debaters”, Steve Patterson is a veteran headline comic who has performed all across Canada and all around the world. In 2016 he added, “published author” to his repertoire with the critically acclaimed “The Book of Letters I Didn’t Know Where To Send” and self-produced “The Smartass-ociates” bringing top Canadian newsmakers together with top Canadian comedians to make smart people funnier and funny people smarter.